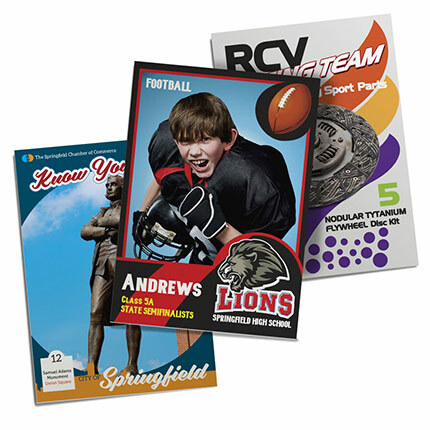 Great for promoting your sports team, business, or yourself. Trading Cards help you expand your network in a unique, fun way. 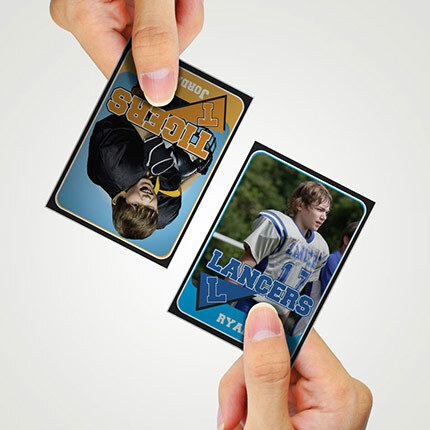 The 2.5″ x 3.5″ size (slightly larger than a business card), gives you have more room to advertise and be creative. 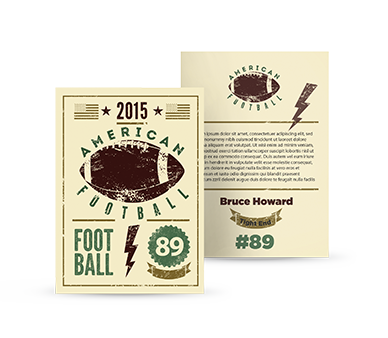 Don’t limit your cards by merely displaying contact information. Instead, attract new followers by also including interesting details and eye-catching pictures.